Soft leather leash but strong, this is our new design called "The Vanessa Ombre". 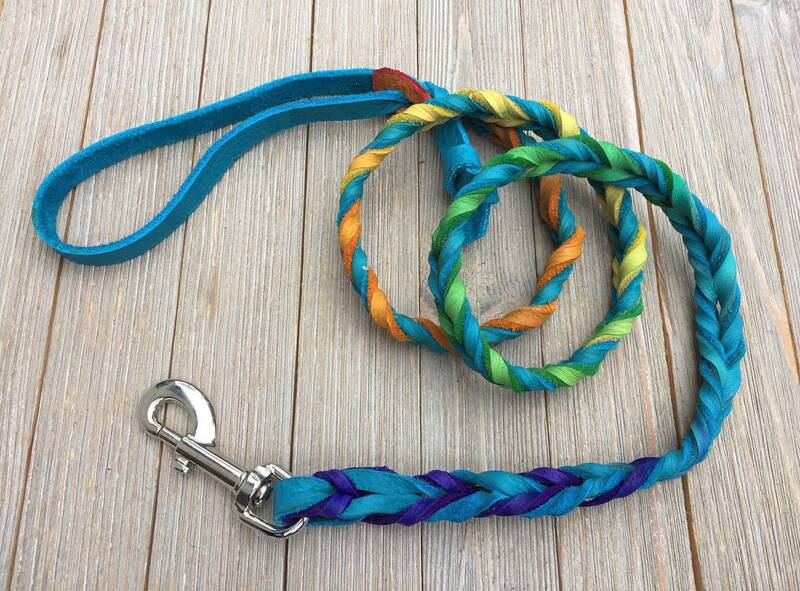 This is a fully braided leash that can be 3/8", 1/2" or 5/8" wide. It comes with a nickle snap but brass is also available. Simply indicate you want the brass when you purchase the leash. on Etsy and found this! It’s so soft and beautiful. Even the obedience trainer loved it and said she had never seen anything like it before!